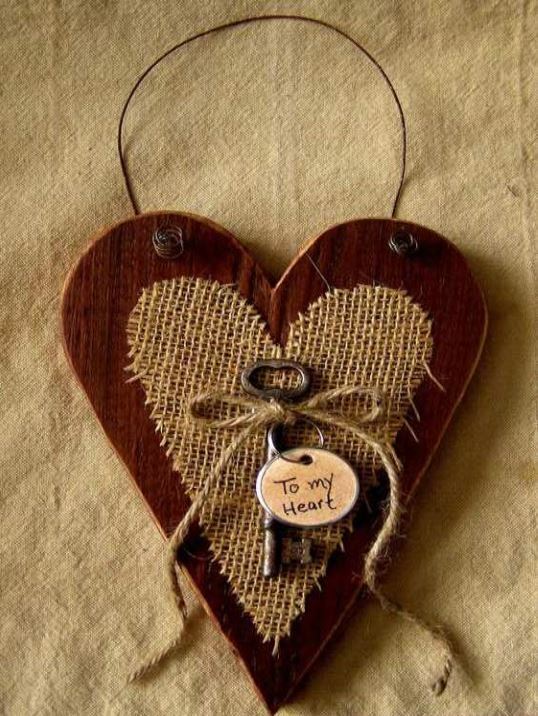 Please join us for a craft night and create a Wooden Heart Door Hanger. For $30 you make and keep the craft, enjoy fellowship and refreshments!!! If you can come let us know. The donation includes ALL supplies and refreshments! Only room for 25 people so call and claim your space. If you’re crafty (or would like to be crafty) THIS is the place to be in Livonia. The store is great…stop by to shop too. All of her proceeds go to charities. Call today: (248) 987-4366. Please note: we usually have a new craft event every other month.. ..but we have been having one every month right now. Stay tuned for monthly scheduling and details. 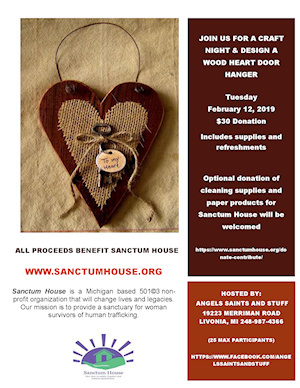 Proceeds from this event will benefit Sanctum House. Sanctum House is a Michigan based 501© 3 non-profit organization that will change lives and legacies. Our mission is to provide a sanctuary for woman survivors of human trafficking.